Home security cameras are designed for keeping an eye on your home while you are away. The presence of home security cameras offers you peace of mind that your belongings and loved ones are protected from a variety of devastating scenarios. Nowadays, most of the home security cameras are connected with apps on your phone for remote monitoring. You can easily check on the kids, pets or any burglaries attempt to your home no matter where you are. There are plenty of options of home security camera to choose from and it can be hard to determine which security camera is the right one for you. 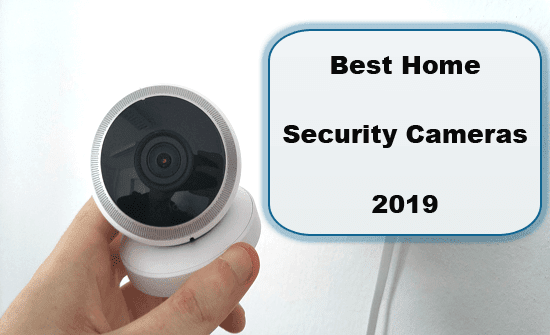 Below we’ll discuss about the key factors to consider when selecting a home security camera and our picks for the best home security cameras. There are six important factors we should look for when come to picking a right security camera for your home. Motion detection is an integral part of a security camera which it uses to automatically save a recording and alert you with notifications when the motion sensors are triggered. Most of the security cameras come with a limited free storage on the cloud. If you would like to utilize cloud storage, you’d to pay extra for the cloud storage plan. So, it is advisable to check the cloud subscription fee before you purchase. One of the best parts with wireless home security cameras is that they are easy to setup without needing to drill holes for wiring. A WiFi capability security camera can connect with your home network wirelessly and can be controlled remotely from your phone. A home security camera that support pan, tilt or zoom feature provides a very wide field of view. This would allow the camera to focus and provide a clearer view of a particular area, especially the area where motion is detected. Most of the modern security cameras provides voice command feature where it allows you to control the security camera through Amazon Alexa and/or Google Assistant. Home security camera is a smart investment that keeping your home and family safer. After much testing and research, below is the list of the best home security cameras on the market. With its top notch video quality, excellent motion detections and intuitively user interface, the Nest Cam Indoor would be considered as the best indoor camera that you can get. It works with Alexa for voice command, incredible 8x digital zoom, handy two-way audio which allows you to hear and talk, and will alerts you when it detects motion or conspicuous sounds. You can’t go wrong buying a Nest product as the company is being well received by consumers. Downsides are the price is on the expensive side and it requires a nest aware program which will cost $10 or more per month for the cloud access. The Amazon Cloud Cam is a relatively affordable home security camera packed with features including motion detector, Alexa support, two-way audio that you can listen or talk through it, night vision capability, and you can record and save footage up to 24 hours on cloud storage for free. The camera itself is incredibly easy to set up. If you’re looking for something affordable and yet delivers amazing video quality, this is the one to consider. The Netgear Arlo Pro 2 is also another great choice and can be used indoors or out. Its 1080p HD camera delivers amazing video quality even at night. This product comes with advanced sound and motion detection, which allows you to customize the zone and will send you notifications when it detects motion or sound. The battery life is great and rechargeable. It supports voice command with Alexa, IFTTT and the Google Assistant. For cloud storing, you’ll get seven days of free access and there is an option to save the recording clips offline to a USB drive. The only real disadvantage of the Netgear Arlo Pro 2 is that it requires an Arlo based station to work. Each Arlo based station can supports up to six cameras. One of the main advantages of Logitech Circle 2 is the capability to support ultra wide angle (up to 180 degrees). The camera itself is weatherproof which means you can use it indoors or out. The indoor capture is sharp and if someone is in your home, you’ll have detailed images of them. It is also available in wire-free version which will cost just a bit more. In addition to Alexa and Google Assistant support, this device also includes Apple Homekit integration. You’ll get 24 hours free of charge cloud storage with the option to upgrade. The main drawback with Logitech Circle 2 is that the 10-foot power cord is too short for most outdoor uses, which means you’ll need to buy an extra weatherproof extension. I hope that this informative guide helps you to pick the right home security camera and if you have any comments or questions, please feel free to leave your feedback below. instanthow.com is a participant in the Amazon Services LLC Associates Program, and we earn affiliate commission when you click on our affiliate links and make purchases.